In largo anticipo, anche se dal clima non si direbbe, oggi vorrei mostrarvi la mia creazione per il challenge di Marvelous Magnolia : una busta per Babbo Natale, " vestita " con una splendida Tilda (Holly Wreath Tilda). 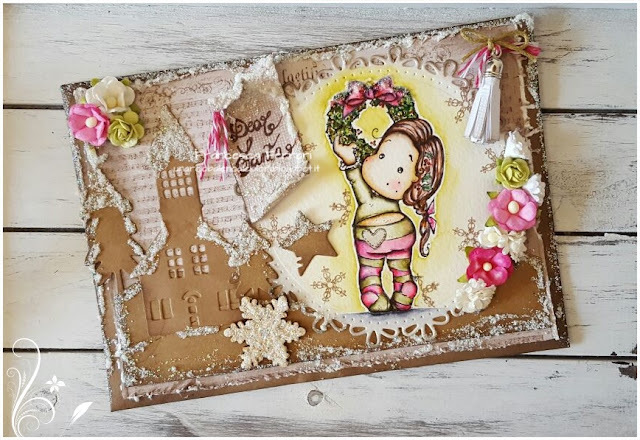 A really pretty Christmas card with lots of lovely textures, many thanks for sharing with us at Penny Black and More challenge. A really pretty card. Wonderful details and love your coloring! this is so sweet! 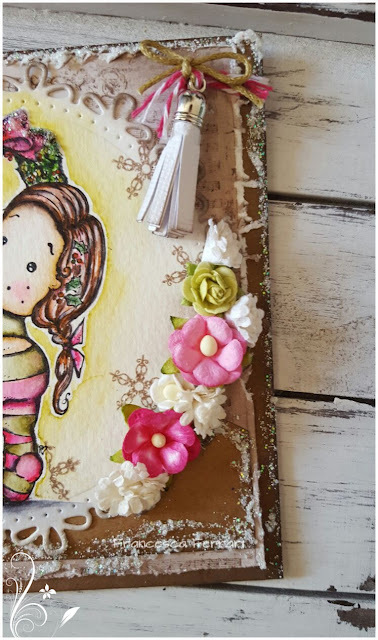 i love the colours and the little flowers; such attention to detail! 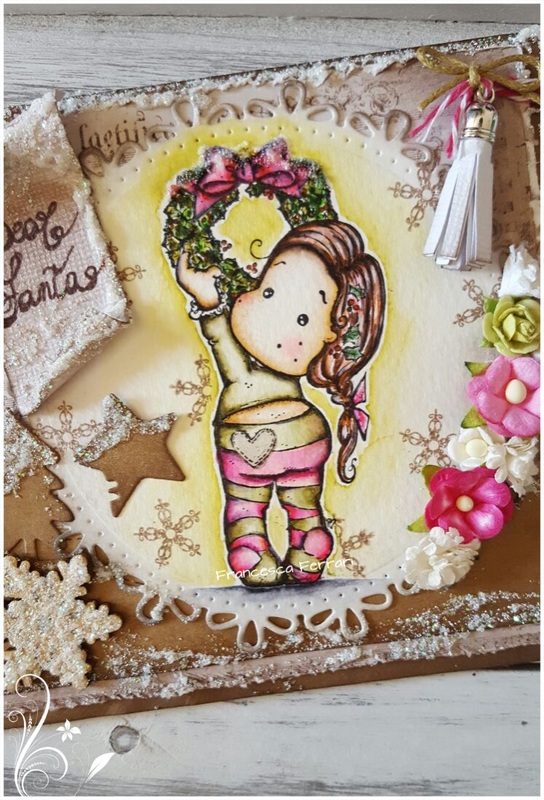 thank you so much for sharing your christmas creation with us at the penny black and more challenge! This is a fabulous project.. I love the adorable image and your beautiful design. Very nice card! Such a sweet Tilda and Kraft is very beautiful! Thanks for sharing with us Paradise of Magnolia. Good luck, mlarisa.